From the looks of it you appear to be using a mirror modifier. 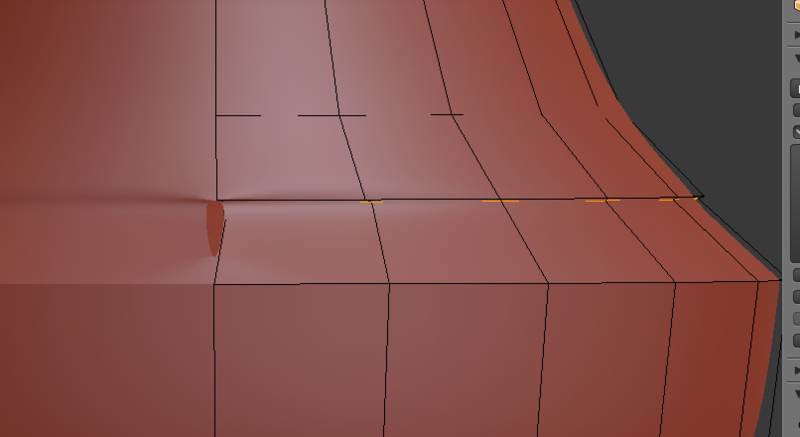 To fix this tearing caused by scaling; enable "clipping" in the mirror modifier window. Not the answer you're looking for? Browse other questions tagged mirror scale or ask your own question. How to mirror this section of hair horizontally, so that it does not flip upside down and can be applied to the other side of the head? Using some kind of unit of measurement for scale? Can I change entire scene scale?